The kitchen was finally clean as I heard the door to the backyard slam (why does it always have to slam?) and my three favorite guys came in from playing outside. One of them stopped in the mudroom to take off his shoes (any guesses who that was?) while the other two came running and crawling into the kitchen, full of excitement, begging me to come outside to see the mud creations they just finished making. 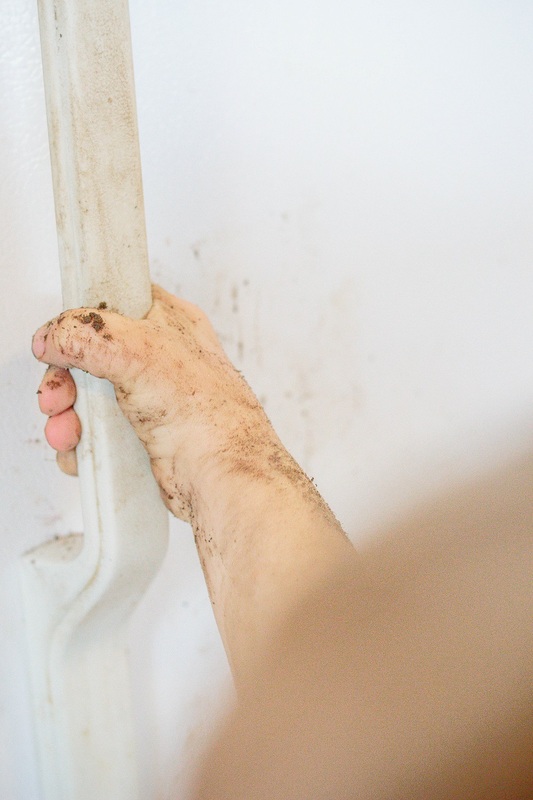 I don’t typically mind my boys getting muddy but a large part of me cringed as I saw the streaks of mud all over my clean kitchen floor and spreading over the cabinets and fridge as my preschooler decided he needed to help himself to a snack. I hate cleaning and here I was, having to do it yet again! It’s a position we’ve all been in as moms. We want to relish in the things our kids enjoy (like making mud pies) but it’s hard when we have to do the same tasks over and over and over, all day, every day! I’ve heard the phrase “Cleaning the house while kids are growing is like shoveling snow while it’s still snowing” and, yes, that makes total sense! Some days I just want to throw in the towel and let my messy house take over. I’ve realized that, instead, I need to come up with ways to just make cleaning fun! Since I’m a firm believer of always keeping my house fifteen minutes from company clean, we can’t have dirt streaks all over the kitchen! Seriously, people. That’s just gross! 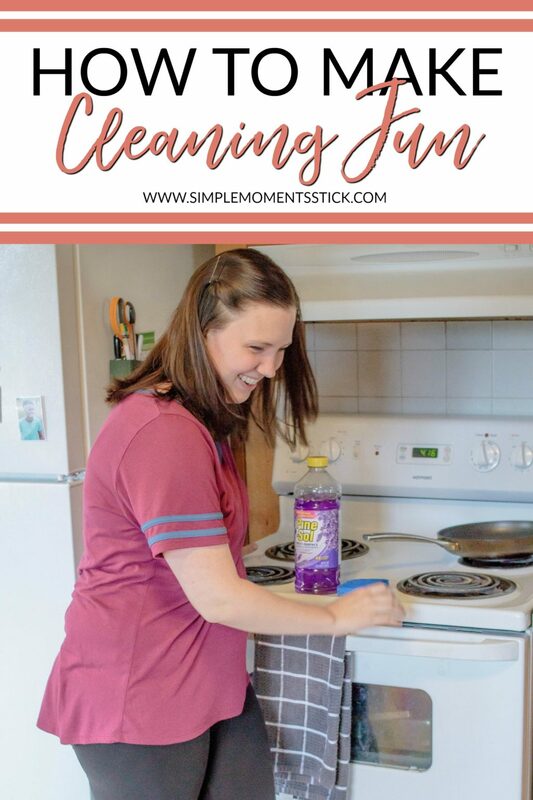 When it’s time to clean, I use a few simple steps to make it fun for myself! Why is it that you want your house clean? Is it a pride thing? Since that’s a more negative feeling, that’s not good motivation (at least in my world) and really takes any fun out of cleaning up. My “why” is three-fold. My biggest “why” is for my guys. I want them to feel comfortable in their home. I want my husband to feel like our home is relaxing (yes, he does help out with getting it that way… more on that later). 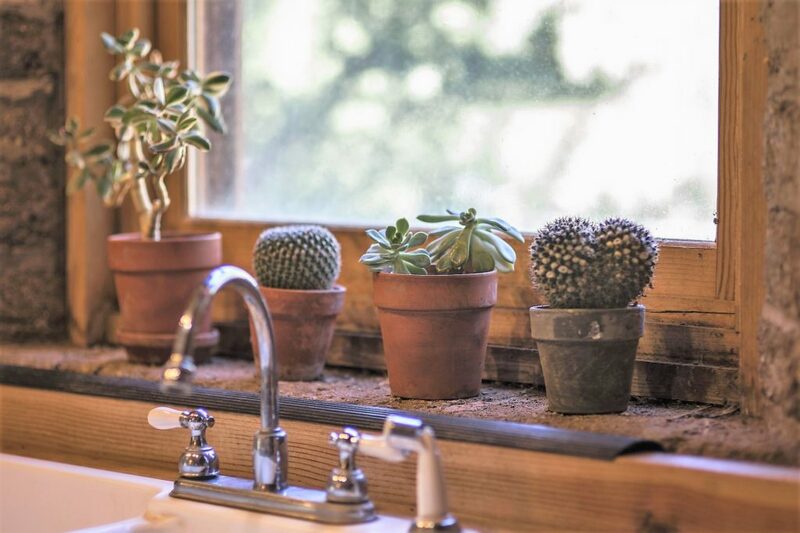 I want our boys to know where things are, not be exposed to all the gross germs that want to get them sick, and feel the relaxing atmosphere a clean home brings. My second “why” is for ME! A dirty, cluttered home STRESSES ME OUT! Seriously, people. It sends me into emotional chaos and no one wants that. 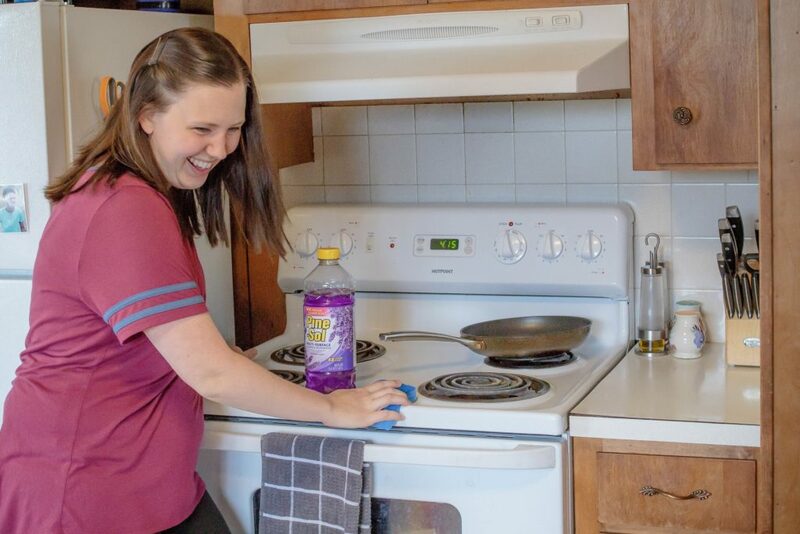 Keeping my home clean gives me a sense of accomplishment and helps me feel confident in parenting. I can have more fun with my boys when there isn’t a pile of dishes in the sink. I can go out and do things when I’m not thinking about the floor that needs to be mopped or the laundry that needs to be folded. Figure out YOUR “why” and allow that to motivate you! When you’re in the right frame of mind, cleaning is more fun than it is a chore! You’ll feel light and breezy when focusing on why you want things clean in the first place! Don’t think you need to do all your cleaning by yourself, friend! Seriously, that’s just silly. 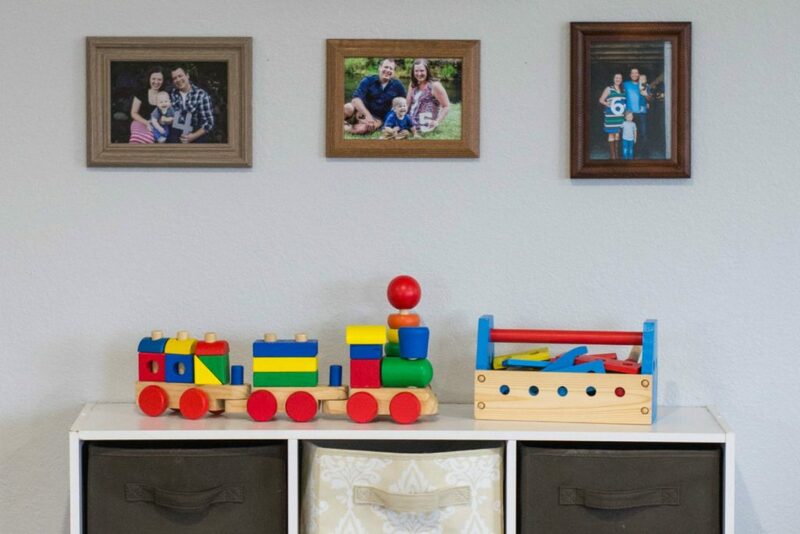 Your kids and husband help make the messes, they should help clean it up! 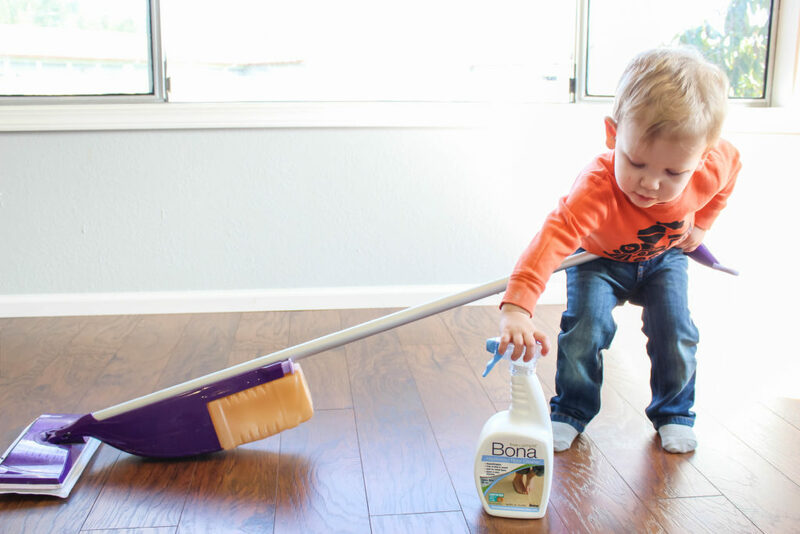 There are plenty of age appropriate chores your kiddos can do – picking up their toys, sweeping, dusting… the list goes on and on! Even my newly one year old helps pick up his own toys when we turn it into a game! Get silly with your little ones – dance, sing, and laugh! You’ll be having so much fun with them and you won’t even realize how clean the house is getting! Every marriage needs to figure out what works for them but, in my house, my husband and I have equal responsibility for the housework. Yes, he works a full time job out of the home but between working on this blog, caring for our boys, and the volunteer work I do, I’m plenty busy during the day! We don’t have specific chores each of us are responsible for, we just clean and tidy up as we go about our days, letting one another know if there’s something specific we’d like to see done. 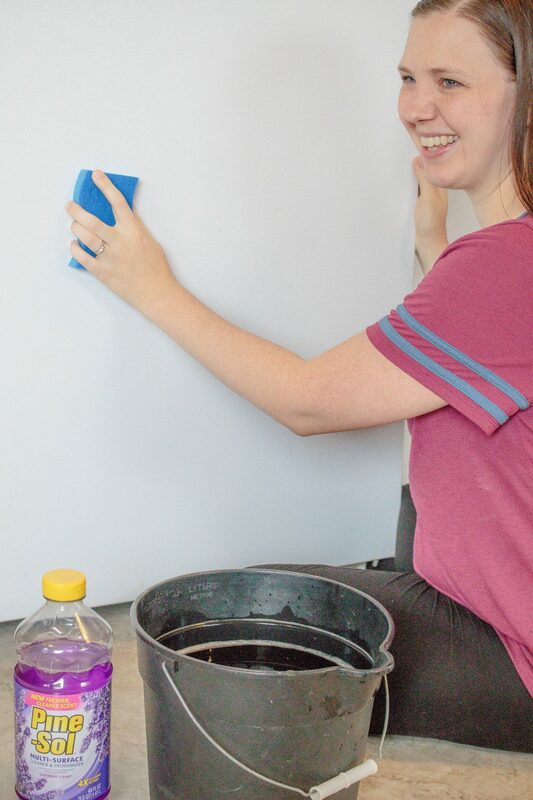 We also love cleaning together since it gives us an opportunity to chat, laugh, and have fun! It works for us and helps me to feel motivated knowing that my husband will be working and playing right alongside me. Like I said above, I’m all for kids helping out around the house BUT sometimes they just need to be sent away. When I’m in the groove, especially when I’m deep cleaning something, I love to send the kids outside with Nate or ask a friend if we can do a kids swap. 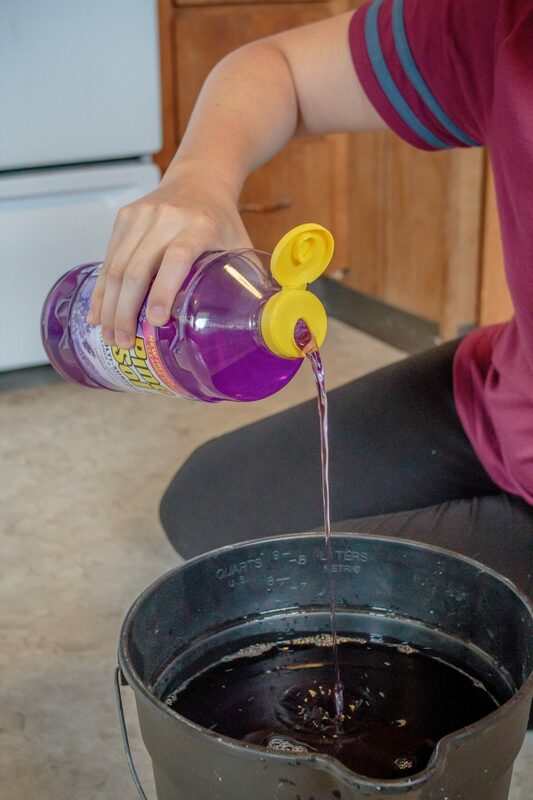 When I have a bucket full of Pine-Sol® and water, I don’t want my boys running around and spilling it everywhere. That’s mama time to put on some fun music and get things done! Get your kids OUT OF THE HOUSE and get to cleaning! There’s something about the right scent that gets me in a merry mood. Light a candle, diffuse some oils, and pick out cleaning products that smell good to you! Tons of products have wide selections of scents to choose from – even products you usually think isn’t versatile. 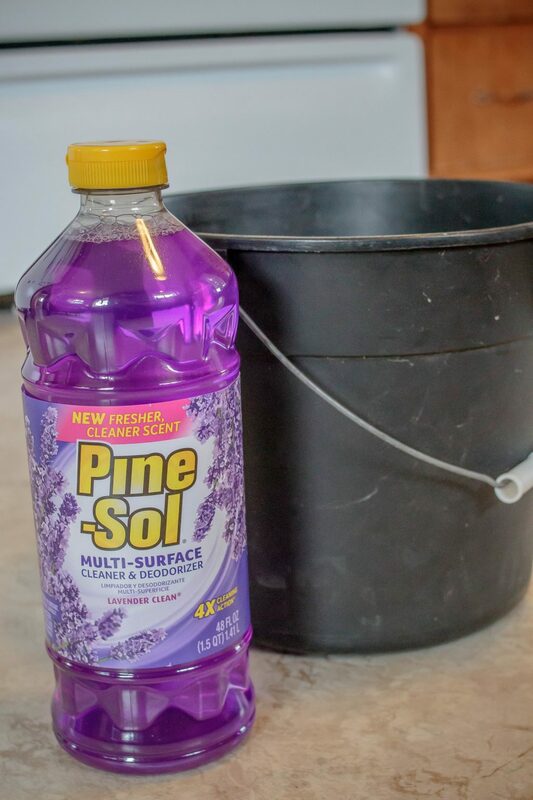 I recently got some Pine-Sol® Lavender Clean® at Walmart to use in my home once I realized there were scents other than Pine-Sol® Original. I’ll be trying out Pine-Sol® Lemon Fresh and Pine-Sol® Sparkling Wave® in the future to see if I like either of those even better. It makes me happy that Pine-Sol® has fun scents now since it’s an awesome, multi-use cleaner that is both effective and versatile. 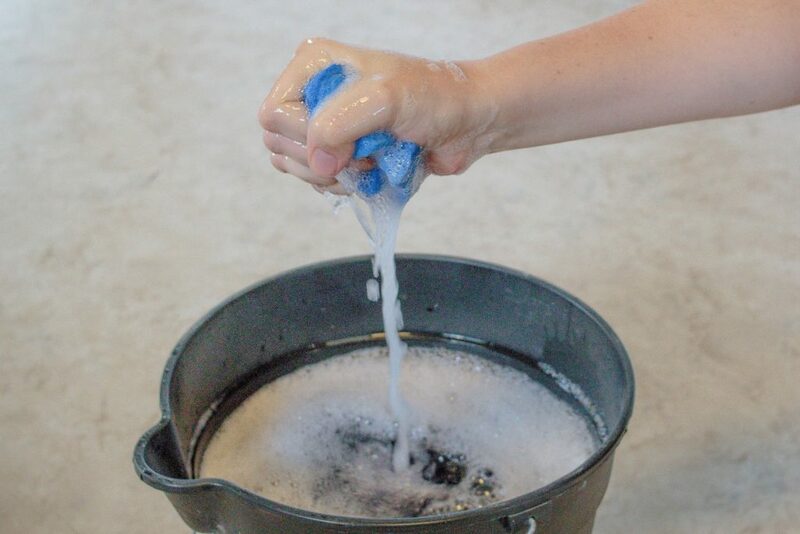 When following use directions, it is safe on surfaces with 4x the cleaning action – being used on dirt, grime, grease, and to deodorize. Pine-Sol® Original even kills 99.9% of germs when used as directed. Heck yes! Smell good scents with a punch of power behind it? I’m in! I always get more done when lively music is involved!! 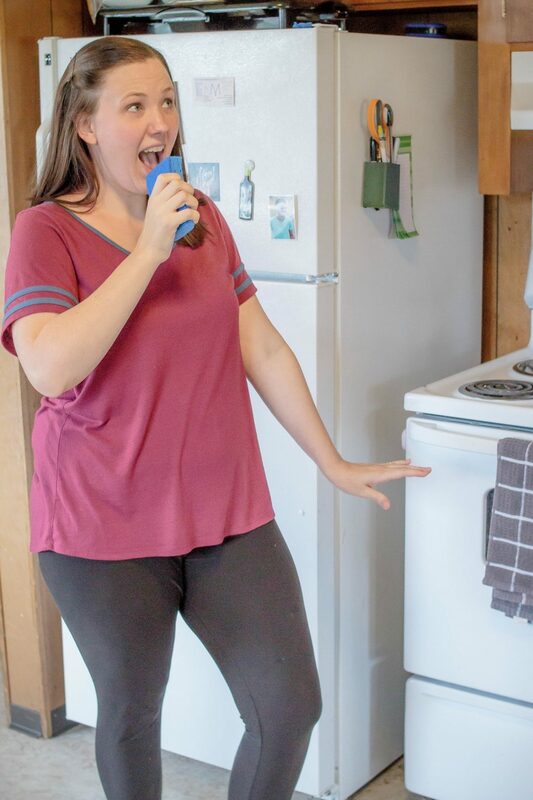 I love to blast some fun tunes and sing and dance my way to a clean home. The job goes by so much quicker when my mind is on being goofy and silly and not on the drudgery of having to clean yet again! I certainly feel better about being a “doer” and getting the job done when I’m having a blast! Let me tell you, mops make great dance partners and sponges make even better microphones. 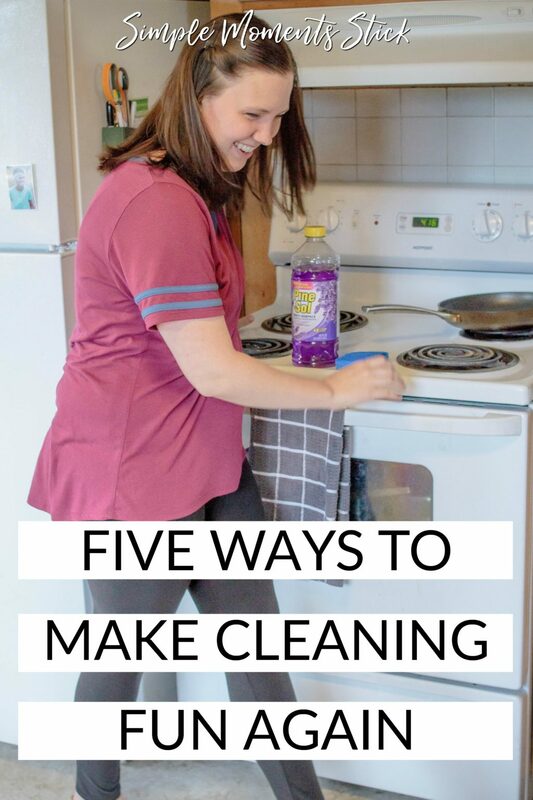 Has any of this motivated you to make cleaning fun for yourself? I really hope so! Currently Pine-Sol® is having an awesome contest where you can win big! 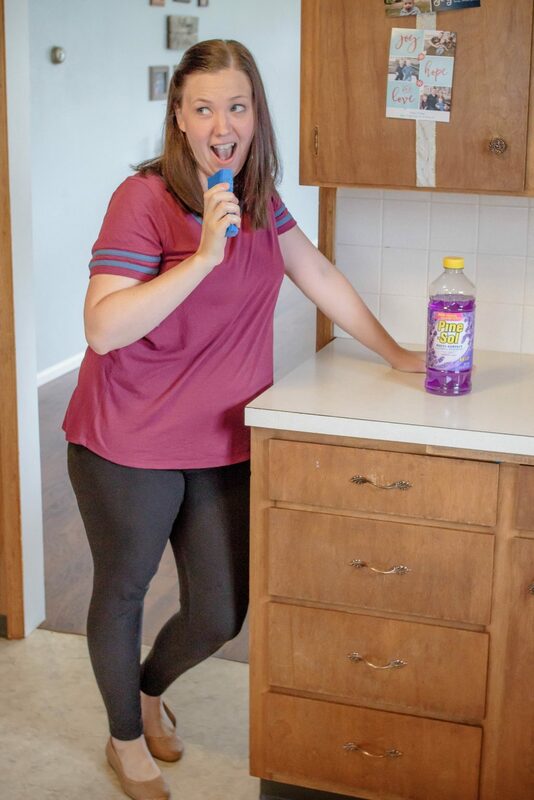 Post an Instagram photo of yourself dancing and singing while cleaning with Pine-Sol®, use the hashtag #MyCleanMoves and #Contest, tag @PineSol and follow @PineSol and you will be entered to win great prizes like cash, Pandora subscriptions or even a Bluetooth speaker bucket!! Learn more about the #MyCleanMoves contest here! What photo are you going to enter in the #MyCleanMoves contest? What do you use to motivate you to clean?